You definitely don't have new messages (NO changes). Yup, you guessed it! That's what I said in Mario Party DS when I defeated the Piranha Plant. My favourite Mario character is Yoshi!!! My favourite Mario game is Super Paper Mario. I HATE Wario! Before you keep going through my page, if you don't like Yoshi, please leave this page immediately. I love Yoshi! Nom, Nom, Nom! ←That's my pet Yoshi, Bud! Me ready to give a ride. I like cheese. I have a pet cat. I'm typing this on an iPad. Sometimes, I like to spell Super Paper Mario Supa Papa Mario. This user is KoopaYoshi, Yoshi's best pal! This user has a pet Blue Yoshi named Bud. This user plays with Lego. Actually, this user always gets Lego for Christmas and his birthday! This user believes that Super Paper Mario is the best videogame ever. 45px This user thinks Bowser and Bowser Jr are awesome. File:I'll do my best.gif This user hates Wario's guts and the rest of his body. This user thinks Mario has taken the spotlight for too long, and should give Luigi a chance. This user thinks Piantas are the weirdest creatures in the Mario Universe. Luigi rocks!!! This user's 2nd favorite videogame character is Luigi. Yoshi rocks!!! This user's favorite videogame character is Yoshi. 45px This user is a big fan of the video game character Koopa Troopa. 45px This user is a big fan of the video game character Hammer Bro. This user loves the female Mario allies! 60px This user plays the Halo series. This user plays games starring Yoshi. 40px This user uses Google chrome. This user's favorite Pixl is Cudge. File:No one's side.gif This user can't decide what side is better. 80px This user likes PIE!. 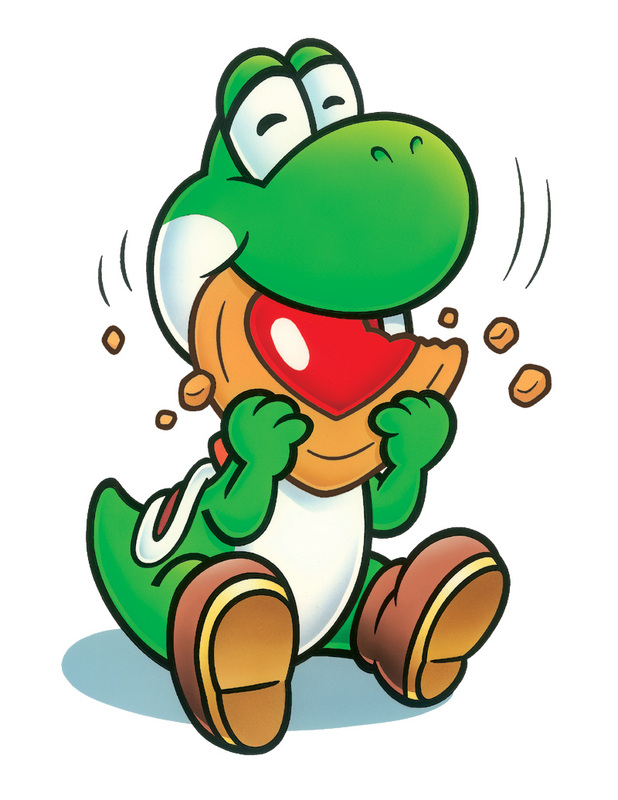 Yoshi eating some Yoshi Cookies! Yoshi happily munching on a cookie! Doesn't Yoshi look cute in his paper form? Didn't Yoshi take away Mario's hat? Luigi is too busy riding his dirt bike to care. Wait, since when did Luigi have a dirt bike? All of this is confusing Yoshi. And Bowser is taking over the Mushroom Kingdom! Poor Boo! He's so shy that he has no friends! Piranha Plant has no friends either. VideoBoo is different from the rest of the Boos. He has lots of friends, like me. I never knew Yoshi could skate! Yoshi looks so cute in this pose! Yoshi leaning on his kart! I wonder what Yoshi's drawing. I never knew Yoshi could do that! Yoshi likes to eat goombas! OK, why am I putting Kirby in my Mario gallery? O, because he is cute. My yellow Boo Mushroom I got 4 joining the BooShroomSquad. ...and THAT'S for being so fat!!! That's for what your uncle did to my bro!!! On the left there will be the name of the game. On the right will be if i've finished the game. To all those people who want to be my friend, ask for your favorite colour of yoshi. If you want to join the Yoshi Team you can sign up here! Bud is here to encourage new members!! This page was last edited on May 20, 2017, at 18:45.